A board game with game pieces with video displays thereon, which display character and player specific images and video, which depend upon the progress of the board game and depending upon personal characteristics of particular players of the board game. Communication between the variable game pieces is facilitated. 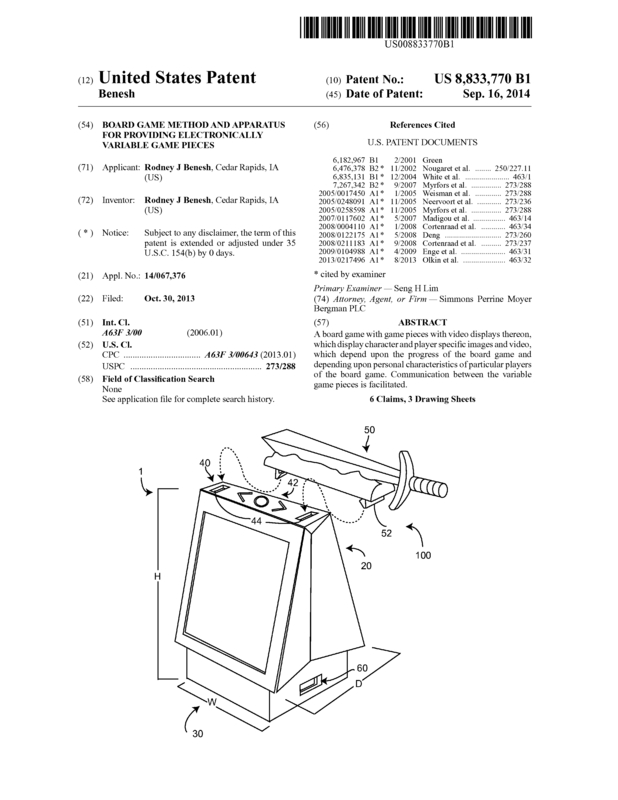 Page created at 2019-04-25 14:00:39, Patent Auction Time.